"The Human Element" follows a group of climate change activists in their political and social afforts. What: Mo in the Mountains with Maureen Beck. When: Thursday, doors open at 5:30 p.m.; program from 6 to 7:30 p.m.
Where: Vail Interfaith Chapel in Vail. this week, Vail Symposium is bringing the outdoors in for two very special programs. On Monday, writer and producer James Balog and producer Olivia Ahnemann will give insight and behind-the-scenes commentary on their documentary, “The Human Element.” On Thursday, adaptive climber Maureen Beck will share her unique journey in the world of sport climbing. 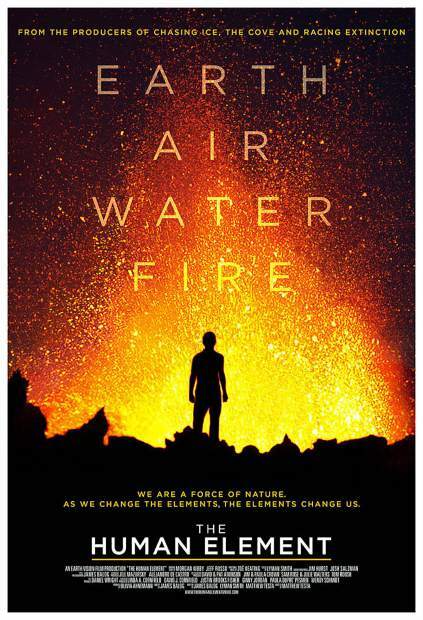 In this riveting and visually rich movie that blends art and science, audiences follow renowned environmental photographer James Balog as he explores the impact of wildfires, hurricanes, sea level rise, a struggling coal mining community and our changing air. With rare compassion and heart, “The Human Element” highlights Americans who are on the frontlines of climate change, inspiring viewers to re-evaluate our relationship with the natural world. Both Balog and producer Olivia Ahnemann will be in attendance and will answer audience questions following the program. This screening is produced in partnership with Walking Mountains Science Center. On Thursday, Maureen “Mo” Beck will share her experience as an adaptive athlete in the world of climbing as part of the Unlimited Adventure series. In this program, Mo will discuss what creating a new style of climbing was like and the work it took to build this community. She will share personal stories of growth and challenge as well as what it is like to be an inspiration—and the responsibility that comes with that role. The presentation will include footage from the 2017 film “Stumped,” about Mo’s first 5.12 project, as well as footage from the unreleased film “Adaptive,” which covers her 2018 expedition to the Cirque of the Unclimbables. For 35 years, photographer James Balog has broken new conceptual and artistic ground on one of the most important issues of our era: human modification of our planet’s natural systems. He and his extreme ice survey team are featured in the 2012 internationally acclaimed, Emmy Award-winning documentary “Chasing Ice” and in the PBS/NOVA special, “Extreme Ice.” He is the author of “ICE: Portraits of Vanishing Glaciers” and seven other books. His photos have been extensively published in major magazines, including National Geographic, and exhibited at museums and galleries worldwide. He has been extensively published in most of the world’s major pictorial magazines, including National Geographic, Life and Vanity Fair. Ahnemann was co-producer of “The Cove,” which has garnered more than 70 awards globally, including the 2009 Academy Award for best documentary and the Producers Guild of America documentary award. The film brought worldwide attention to the annual dolphin drives in Taiji, Japan and high levels of mercury in seafood, man’s primary source of protein. Television credits include programs for National Geographic, PBS, A&E and Discovery. Ahnemann has contributed to several independent films, including “Enlighten Up!” which had a nationwide theatrical release in 2008. She lives in Boulder, Colorado with her husband and daughter. Mo Beck was born without her left hand but that didn’t stop her from picking up the sport of climbing at the age of 12 and learning to climb all over New England. Now based in Colorado’s Front Range, Mo spends her nights training at Earth Treks and her weekends climbing all over the American southwest. She works closely with the adaptive climbing community through Paradox Sports and is the Chair of the USAC Paraclimbing Committee. As a competitive climber, she has won four national titles, a gold medal at the 2014 Paraclimbing World Championships in Spain and defended that title with a gold medal at the 2016 World Championships in Paris. In 2018, she went on her first alpine expedition to the Northwest Territories in Canada’s Nahanni National Park where she and fellow adaptive climber Jim Ewing attempted the legendary Lotus Flower Tower.